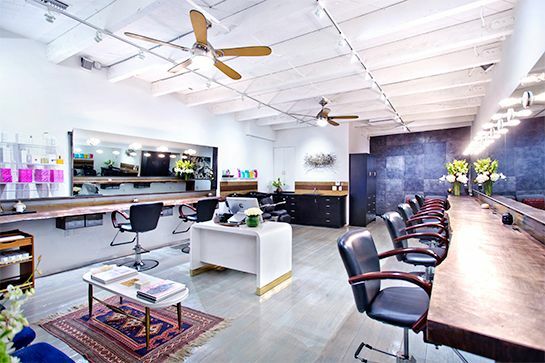 …Heather Cie have compiled a stellar team for a salon that combines Hollywood glam with the laid-back California lifestyle. "We are one of the only high end salons in Malibu and a great fit for the community," Says Cie. "Most of our clients come from this side of town and we're glad to help make their salon commute a little easier." It was the most flattering (and believable) blonde we've ever had: Our skin looked so healthy that friends asked if we got a spray tan. In this day and age, many of us take matters into our own hands, whether it’s recreating some of the most coveted runway or red carpet hairstyle trends or even getting the most popular hair color trends at home. While most stylists recommend leaving the hair dyeing process up to a professional, the various options of at-home coloring kits on the market suggests otherwise. We’ve enlisted Heather Cie of Cie Sparks Salonlocated in Malibu, CA to provide you with the best hair dyeing tips for your DIY hair coloring projects. A fresh dye job can make you feel all kinds of fantastic, but dropping serious cash on color that fades fast often has the opposite effect. Luckily, a few tricks can give your color a longer life, meaning no more blowing paychecks on a trip to the salon. Here, pros share their best tips for maintaining your color.